Problems always come without a warning! Most of the time after updating to latest version of Windows users face some irksome problems. These problems often arise due to faulty driver. The most common problem faced by Windows 10 users is no sound. This isn’t a problem that cannot be solved. So for all those who face this problem and are looking for a solution here’s a quick rundown on how to fix no sound problem in Windows 10. Following are some of the most promising solutions that will help you fix sound issue on Windows 10. You can try different methods mentioned below to fix sound problem on Windows 10. Before we proceed with complicated fixes and spend more time in implementing them. Let’s start with basic check at first. Check Windows sound button, make sure it isn’t muted. It may sound funny but please do check it. You can find volume icon at the extreme right of the Taskbar. Here if you see a little red circle over the speaker it means the sound is mute. To unmute it right click on the volume icon > from the context menu select ‘Open Volume Mixer’> now click on the speaker icon to unmute the sound. Once you have followed the steps check if the sound is working, meanwhile don’t forget to double check all cables, plugs, speaker and headphone connections. You may think that these steps are so basic and who would not check, but remember sometimes we forget to check the most basic settings. Therefore, it’s better to check things and be assured rather than ignore things. If using headphones/speakers, try attaching them with a different device and see if they are working. If they are, that means problem is not with the software it is with the hardware. Vice versa you can even try using a new headphone if an alternate system isn’t available to test the existing hardware. Secondly, check both the front and back audio line in/out ports. As there is a possibility that the problem is with the audio port. Next ensure that the plug is properly inserted into the port. Next ensure that the sound card is in the right slot. Also, if you see any dust on the hardware clean it and then check for the sound. If you are facing the sound issue on laptop use function keys to enable sound. If you use USB headphone Windows 10, automatically detects the required driver and installs it. But if no driver is installed you need to check for Windows updates. For this, type Windows Update in the search bar and click on Check for updates button to see if any updates are available. If there are any updates they will be shown, now click on Install Now button and let the updates download. Once they are downloaded click on Restart Now button to apply the updates. Now check if the sound problem is fixed in Windows 10. If this doesn’t work then you need to change sound settings. Step 1. Right click on the volume icon present on the taskbar. Step 2. Now, from the context menu select Sounds. Step 3. In the new window that opens, click on Playback tab. Step 4. Here, right click on the device you’re using and from the context menu click on Enable. Step 5. Next, again select the device > right click > from the context menu select Set as Default Device option. Now check if the sound problem is fixed in Windows 10. Step 1. Open settings by pressing Win key +I. Step 2. Here click on System. Step 3. Next, in the new window that opens select Notifications & actions from the left pane. Step 4. On the right side scroll down to look for the option Get notifications from these senders. Step 5. Under this option toggle on those apps that use sound. Now check if audio problem is fixed in Windows 10. Also Read: How To Fix Nvidia Control Panel Missing In Windows 10, 8, 7? Type Device Manager in the search bar. Here, look for ‘Sound, video and game controllers’ and click the arrow icon to unhide all the installed audio drivers on Windows 10. Now, right click on the audio driver you wish to update. In the new window that opens click on Driver Tab. Here click on ‘Update Driver’ to check for driver update. Next click OK to proceed. Note: In the same window you can ‘Roll Back Driver’, Uninstall Driver by clicking on the respective options. But do remember, to bring changes into effect you will need to restart the PC every time. Hope now you will be able to fix the sound problem on Windows 10. Besides, the steps explained above you can even try using: Windows audio troubleshooting, setting the audio output device as default, restarting Windows audio service. To know more about them click here. In case none of the above-mentioned steps work then, you can try using “Advanced Driver Updater” to install latest and compatible audio driver on Windows 10. Step 1. Click Start Scan Now button to detect all the faulty drivers on your Windows computer. Step 2. After the scanning, you will be able to see all the outdated driver on your Windows 10 PC. If you wish to update only the Audio driver click on Update driver under status individually. However, if you want to update all the outdated driver you can even do so by clicking on Update all button. Step 3. To bring changes into effect restart the PC. Note: Advanced Driver Updater takes backup of your old driver before updating the driver. Therefore, if anytime you think that after updating a driver via Advanced Driver Updater you are facing some issue you can easily restore the backup. 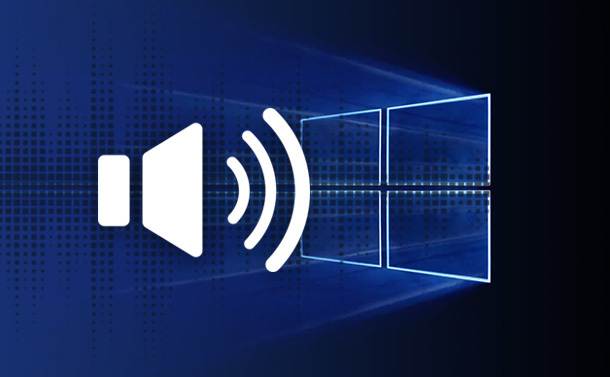 We hope using these 5 ways your sound issue in Windows 10 has fixed. If you have some other suggestions or problems, comment below.